It has already been written so much about Tommasini bicycles and Irio Tommasinis colorful history, that you do not know where to begin. 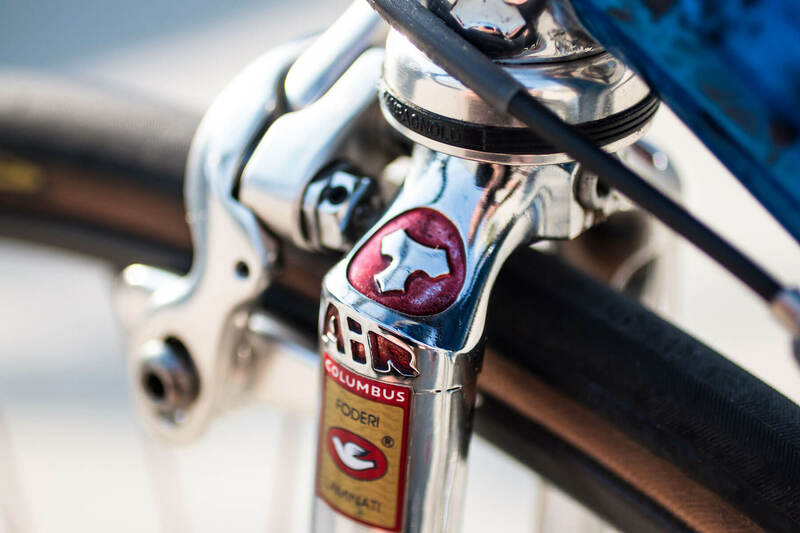 One can say with certainty, then as now Tommasini frames are highly sought-after collectors’ items. Irio Tommasini already started building bikes at a factory in Milan while still racing as an amateur in 1948. By 1957, only 9 years later he started his own business „Tommasini“ in his hometown Grosseto, Italy. At this time Irio Tommasini was just 25 years old. Incidentally, the word amateur comes from the Italian ” amator ” meaning „The lovers“. Irio learned his craftsmanship from his friend and mentor Giuseppe “the Magician” Pelà, one of Italy’s premier bike builder. At the factory Irio worked not only on bicycles but on motorcycles produced by the firm. Over the time the brand became very well known and the frames not only where appreciated for their racing geometries and their fine finishes but also for their highest quality. Many amateur and professional cyclists rode and won on frames Irio Tommasini had built them to size. 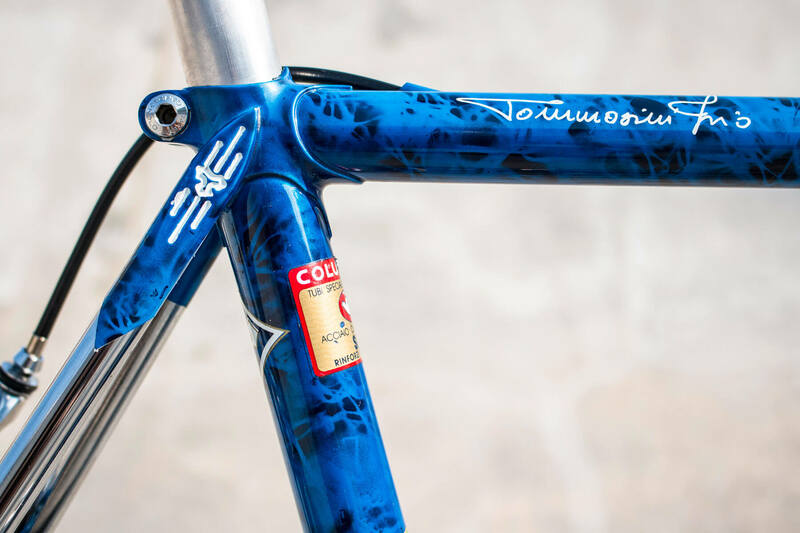 There are very few frame builder in the world that can look back on as much experience in frame building then Irio Tommasini. 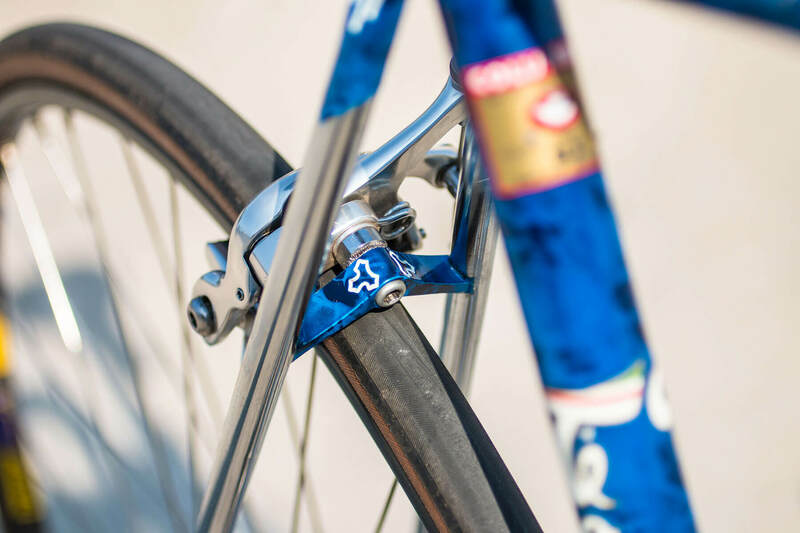 Today Tommasini is one of the most exclusive cycling brands. The business is run by his two daughters and they only producing 2,000 – 2,500 handmade frames per year. Whether it is a time-trail frame, a cyclocross frame, track, randonneur or road bike, every frame build in the factory is made to measure. 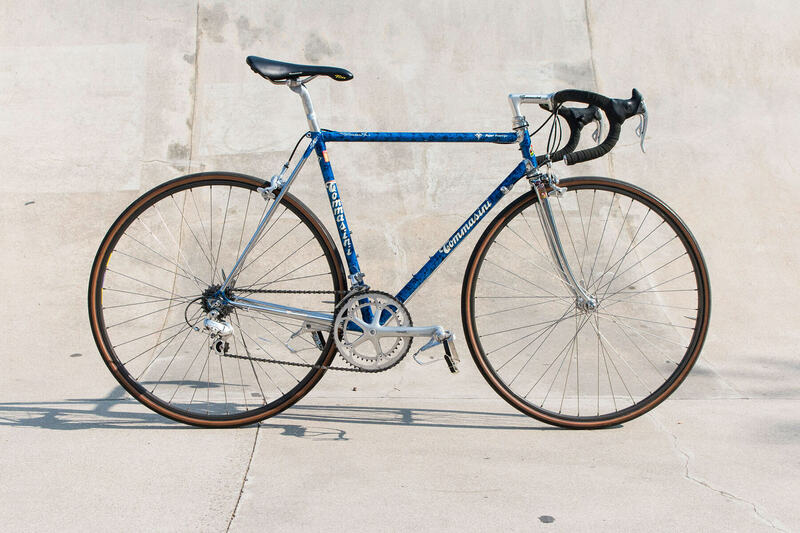 There are no plans to mass produce Tommasini frames. 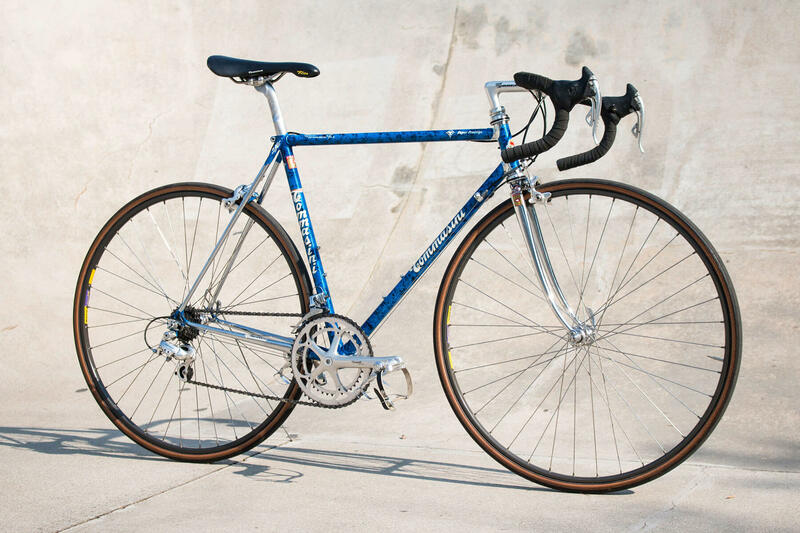 This special Tommasini Super Prestige from 1991 comes with a rare „fish-net“ like finish. We do not know how to describe it otherwise, because you will not find much information about this kind of painting technique. The frame is build out of Columbus SLX tubes with aerodynamic seat stays. 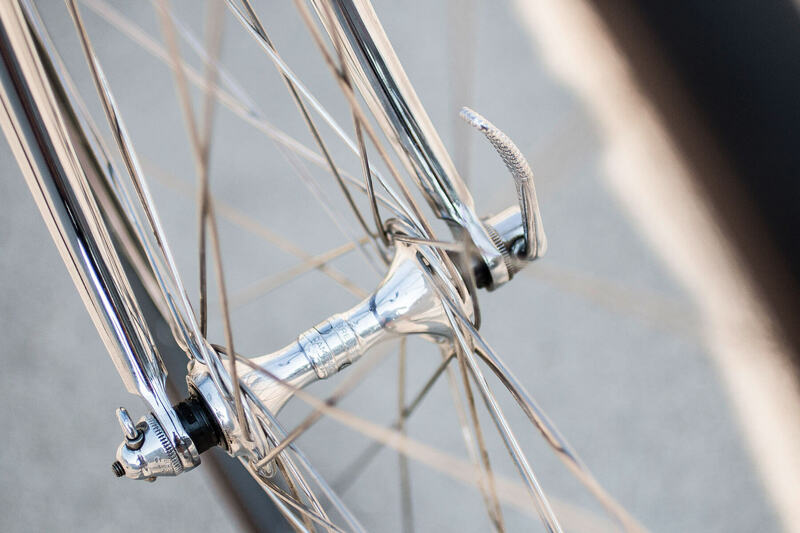 The fully chromed fork comes with a special patented “Tommasini Air “aerodynamic fork crown. Wherever you look there are beautiful engravings throughout the frame. There is chrome everywhere. The lugs are amazing. All parts are carefully brazed including the front derailleur boss. 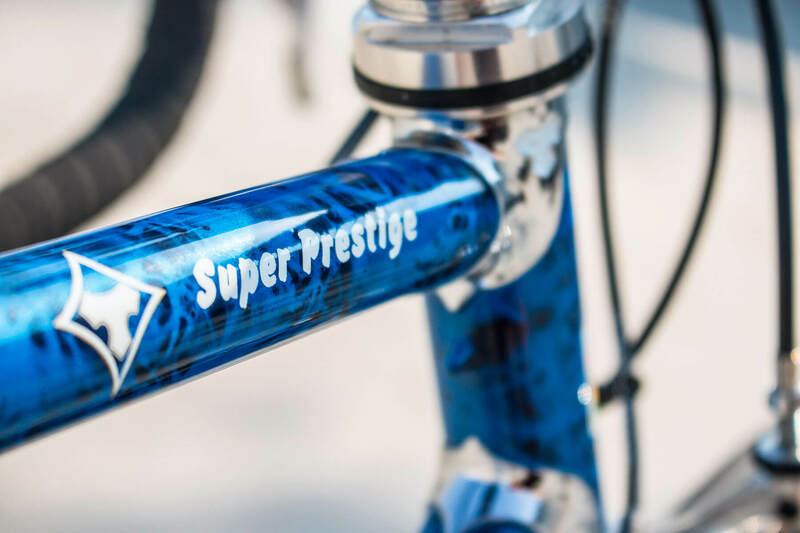 At that time the Super Prestige were sold in sizes from 49cm up to 66cm. The pictured size is 54cm. With all the vintage Campagnolo Record parts and the beautiful pantographed Cinelli Tommasini stem we cannot get enough of looking at it. 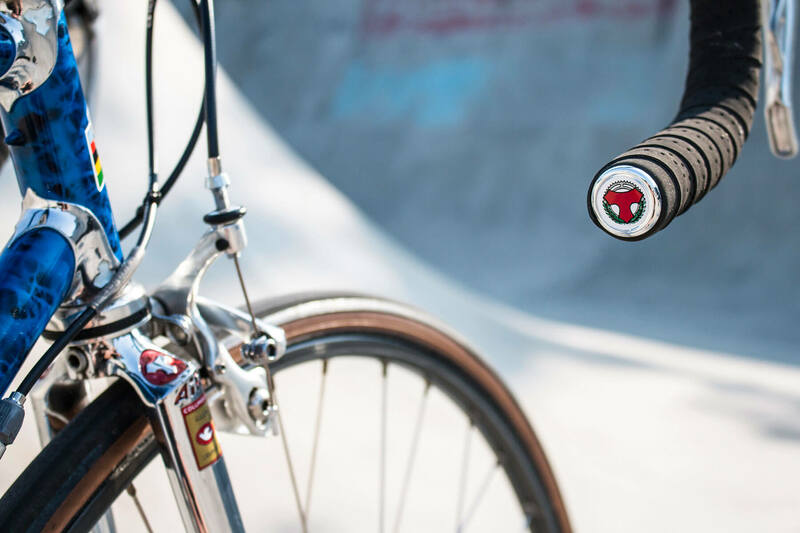 If you want to know more about Tommasinis unique bicycles, their mission and their roots, head over to the official Tommasini Website.